Stickers Tester. 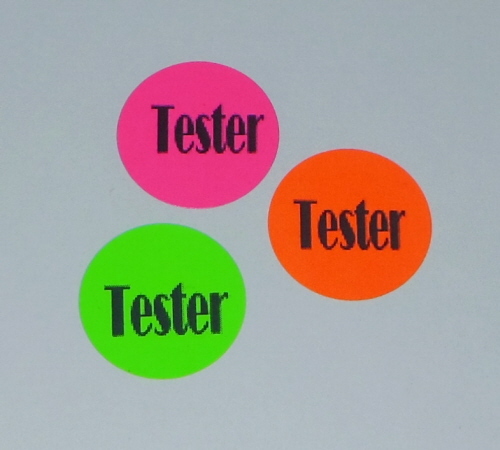 Use these to place on any products you are using as testers only. Each sticker is .75 inches Round. 120 stickers per sheet. Available in Fluorescent Green , Fluorescent Orange or Hot Pink. 63 Stickers - Thank you for Shopping with me!